I’m a huge fan of Google Voice. I’m not alone the team at TechCrunch also seem to be fans. I would really like to use my 416 number with a provider like Google Voice that let’s me keep this as my primary number but forward calls and SMS messages to a device or application I am using. Basically, I’d like to have my 416 follow me to a T-Mobile number of my choice in the US or a Wind Mobile number or a where ever. Basically I’d like something like Google Voice with a Canadian number. I have a Rogers Wireless phone that until very recently has been my primary phone, but with the introduction of the Wind Mobile’s outrageous holiday rate of $40/month I decided to get a new phone. However, because I do travel out of the Wind coverage zone I kept my Rogers phone (it has a 1Gb North American data plan that I use when in the US and rural Ontario). I think MG Siegler has captured by desire to take control of my phone number (which is increasingly my SMS contact point). I’d like to port my 416 number and have access using the devices that are important to me: Android, iOS, SIP phone, softphone, and SMS. As part of this I started looking at business solutions for the Influitive offices. Theand I’d really like to set up a Canadian business solution. But it seems that the SMS piece particularly for inbound Canadian numbers seems to be the bottleneck. This makes me suspect that the issue is either with the CRTC and a whole bunch of stuff that I just don’t understand (or care to understand) or with CLECs and SS7 hardware and a bunch of other stuff I just don’t understand. Anyone know why I can’t get SMS messages on VoIP providers for Canadian numbers? I’m trying to find an alternative to Google Voice and a Canadian number. I’m thinking that I will try OpenVoice and Anveo as a SIP provider. I’m hoping this should work. Great services. Managing a asterisk install was too much for me. LES.net rumored to have SMS inbound in Feb 2011. 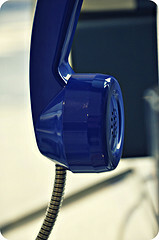 What are other startups using for their office phone system? I’m leaning towards RingCentral.ca. I know a few others that are using OneConnect, but it bugs me they don’t list their prices. But hoping others have thoughts? Opinions?